When you see pictures and hear testimonies from people like us, the tendency is to feel that our marriage is an ideal or a flawless relationship. That is very far from the truth. Every one of us has our own challenges. The first 8 years were not easy (and it’s definitely not a ride in the park as the years add on). We had our fights and quarrels. Most significantly, we were from very dysfunctional families and there were no models to copy. But How did we manage to keep this marriage going? One major ingredient was COMMITMENT. 1. We realized, very early, that we were not the best of persons but we were committed to make the marriage work. 2. We also knew that a lot of people thought that we were taking a big risk. One person even said that he did not attend the marriage ceremony because he did not want to be part of what will not work. Therefore, we made up our minds to make it work. 3. We also got born again very early during the marriage. We were taught very early that divorce is not part of God’s plan for the institution of marriage; the expectations from marriage were also regularly taught to us. The bar and standards were raised high. We were, therefore, committed to the sanctity and sacredness of the marriage institution. 4. We were committed and have remained committed to ourselves. Every other person—parents, friends, relatives—were secondary; I am even sorry to say children are secondary too. I told my wife that if we did not have children she should not bother me. I love our children but when I get home my wife is the first person I ask of. I knew the kids will leave us one day and find their own lovers. It has come to pass. We are home alone now. 5. We never complain about ourselves to any other persons. 6. We also defend and fight for each other. Even though we quarrel often, we settle often too. That a husband and wife quarrels does not necessarily mean they hate themselves; They just, probably, lack communication skills. Commitment and right mentorship will teach them to adjust with time. 7. We never compared ourselves with people or competed with anyone. We knew our imperfections and we learnt to laugh at them. 8. You must know that marriage is like pepper soup—it’s hot and peppery but you have to keep drinking it. You sneeze with running nose and tears, but you wipe them and keep drinking it. There are times you will even wonder if you married the right person, particularly in the first 5 years. 9. No marriage is perfect, don’t mind what you see on Facebook and other social media platforms; many people have their own problems behind all that glamour. 10. Remember this—the devil always likes to spoil your fun. At one time we always had quarrels just before big events, preaching engagements, and major family breakthroughs. I have learnt to prevent and avoid them. The wiser person must be play the fool to avoid the devil’s tactics. 11. There is no single formula for an enduring marriage but perseverance and commitment works. Find out what will work for you and follow it. Don’t throw away your marriage because of what you see outside; nobody is finding it easy. Marriage is like a secret cult. Those inside don’t say everything until you join. If many have their way they will run away. We made our minds, for better or for worse, to be always committed. One day, I told my wife that before she will run from the marriage I will go and wait for her in her mother’s house. No running away; we are in it; no retreat no surrender. I pray that even though you are not the best of people to be together in your marriage, you will be committed to make your marriage work and you should make heaven too. Don’t mind me, though, I’m the only carnal pastor that quarrels with his wife. The Oil of Marriage addresses the common sexual challenges experienced in marriage and provides simple godly solutions to them. Always inspired and blessed to draw from your wealth of knowledge. Stay blessed. So true, so transparent and inspiring. 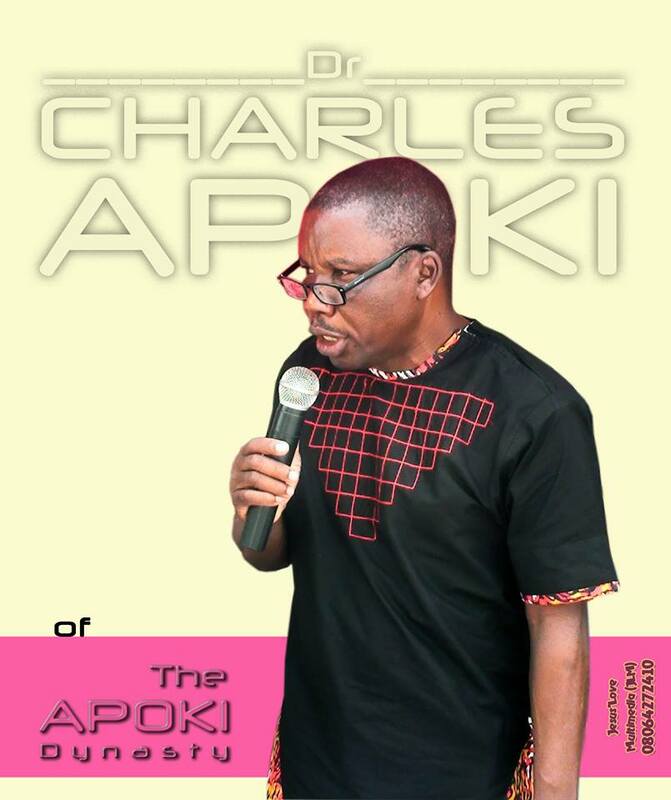 Kudos to you Dr. Apoki and my sister. May the Lord continue to empower for this generation. Greater grace!!!! I really had a great read sir… I pray for more Grace upon your life and ministry sir.